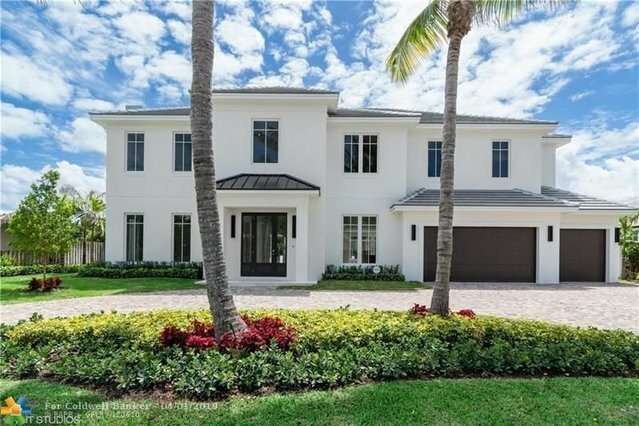 Impressive 2 Story modern/Transitional design new construction home situated on 120 ft wide "Rio Verde"canal just 2 lots from the point offering awesome views of the Intracoastal waterway & Birch State Park. Modern interior design features to include a rich combination of Marble and wood flooring, glass balconies, 3-car garage, elevator, den/office, media room, gazebo with summer kitchen and much more. Scheduled to be completed by the end of May 2019.&#13; .